Alicia Lucasi and Rubén Hilari, two young Bolivian Quaker teachers, were in the US for year-long face-to-face interaction with US Friends and with Quaker education in the US. Alicia spent the 2008-09 school year working at Carolina Friends School (CFS) in Durham, NC, while Rubén was at Oakwood Friends School (OFS) in Poughkeepsie, NY. Both Alicia and Rubén completed their university degrees previously, Alicia in Educational Administration and Rubén in Linguistics (English and Aymara). "I am putting all my dedication and enthusiasm to reach my objective, to speak, write, and listen in English. In my level (advanced) we are putting into practice all the grammar that we learned. Success! On June 29th, I was a translator (English to Spanish and Spanish to English) for 7 visitors from the US and UK. They understood me perfectly! I owe it to you and God. I had a great experience because I never translated before." Since her return Alicia has worked in administration at the INELA school on Max Paredes and served as director of the student residence in Sorata. She and Ruben have presented workshops for Quaker teachers. Alicia's experience at CFS is being put to great use in strengthening Quaker education in Bolivia. 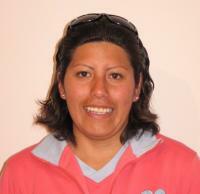 Rubén also comes from a Quaker farm family on the Altiplano, and like Alicia is a hard worker and a high achiever. After his primary and secondary education in Quaker schools, he trained for two years as a computer programmer before starting on his university degree. Simultaneous with his university work, Rubén took a three-year course in English and began teaching English in both Quaker and public schools - a very full schedule. Speaking about his work, he said, "It's always important to give without thought of what you will receive in return." 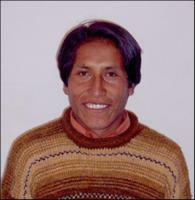 Rubén made a rich contribution first at OFS and then back home in Bolivia. He writes: "I was so excited about my first trip abroad....believe me how difficult it is for people like me, descended from poor families and who don't have a lot of money, to know other countries. I cried the first time you wrote to me about the trip. After that I was thinking all the time that it was unbelievable. I was praying a lot to God about it. I received many responses from God, first of all that I have to trust in Him. I cried again when I received the email of the official invitation by Oakwood Friends School." Rubén believes that with a solid grounding in Quaker education, possibilities are opened up for young indigenous Bolivians. They can enter into society in a new way, enter the fast-changing political world, and bring change based on Christian principles. He shares what seems to be the common understanding among Friends in Boliva, "You sacrifice, and change will come." You who have donated to BQEF deserve much credit. Establishing scholarships and upgrading English studies provided the groundwork for the journeys of Alicia, Rubén, and those who will come after them. Rubén and Alicia both completed university degrees with the help of scholarships, and both have a good command of English (necessary for thriving economically and academically in Bolivia). Since the number of young Quakers completing university degrees and learning English (as a third language) is increasing dramatically, there is every prospect for this program to flourish in coming years. These "Visiting Teacher Apprenticeships" offer another way to build bridges between two Quaker cultures and to strengthen Quaker leadership in Bolivia.